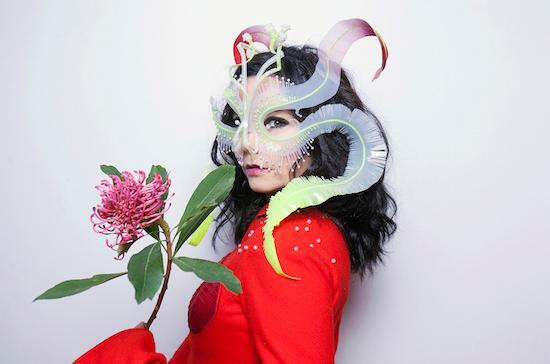 Björk has surprise released the first single from her upcoming, as-yet-untitled album. The track, entitled 'The Gate', can be streamed just below, and is the first track to be revealed from the record which Björk has described as her "Tinder album". Speaking previously about 'The Gate', Björk described it as "a love song," adding "but I say 'love' in a transcendent way. Vulnicura was about a very personal loss, and I think this new album is about a love that’s even greater. It’s about rediscovering love – but in a spiritual way, for lack of a better word." 'The Gate' is available digitally now and will be released on vinyl on September 22. Björk has revealed that the album itself will be released sometime in November and is co-produced by Arca and herself. An accompanying film - made alongside Andrew Thomas Huang, Alessandro Michele and James Merry - will be screening at London’s The Store Studios this weekend (September 16 and 17), from 10am to 6pm each day. The film screenings are open to the public and admission is free.